Home / News / Pawan Kalyan to make his comeback with a political film? Pawan Kalyan to make his comeback with a political film? Power Star Pawan Kalyan post the release of Agnyaathavasi film, has moved to full-time politics and in strengthening the Janasena Party, which will face the first ever elections in 2019. However, looks like Pawan Kalyan will soon be donning the makeup once again. If the buzz is to be believed, Pawan Kalyan may sign up a political movie soon, and the Power Star seems to have already listened to the script. He plays only a key role in this political-backdrop movie where a young hero will play the lead. 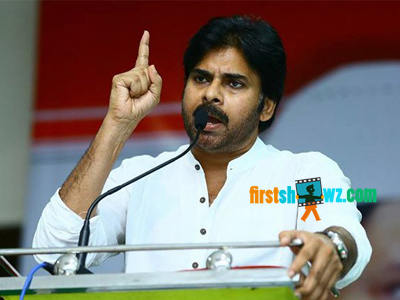 Pawan Kalyan will complete the shoot of the film before AP elections. Ram Talluri will be donning the producer cap of the movie. More details on the cast and crew of the movie are to be announced. Firstshowz.com will be back with latest updates on Pawan Kalyan political based movie. Stay tuned.